The Ashland Independent Film Festival will honor Kartemquin Films’ 50 years of creating high-quality, social-issue documentaries during the 15th annual AIFF on April 7-11, 2016. The festival, which features more than 90 films and dozens of special events across the town of Ashland, Oregon, will welcome special guests Kartemquin Artistic Director and co-founder Gordon Quinn, Emmy-nominated director Joanna Rudnick and Peabody Award-winning director Maria Finitzo. In the Game (2015), directed by Peabody Award-winner Maria Finitzo, which follows the ups and downs of a high school girls’ soccer team to reveal the very real obstacles that low income students confront in their quest for higher education. A special secret screening of a new Kartemquin documentary from a notable female director. 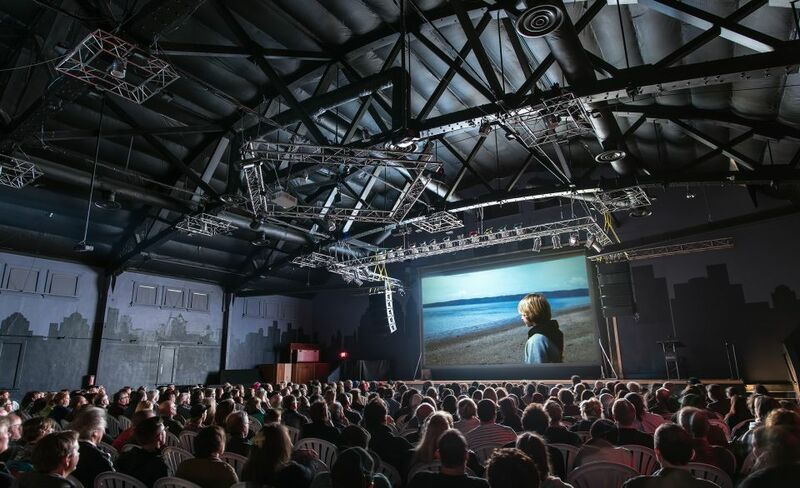 Ashland is full of the highest quality independent films, unique live performances, art installations, as well as various shorts programs, panels and parties. The festival will feature a TalkBack filmmaker panel including a discussion entitled Activist Collectives: Kartemquin and New Day, featuring Kartemquin Artistic Director Gordon Quinn and New Day Collective members Julia Reichert and Steven Bognar. Find out more. Tickets for festival films and events will be available online at ashlandfilm.org beginning March 21 for members and March 27 for the general public. A full schedule of festival films will be available March 16 at ashlandfilm.org.